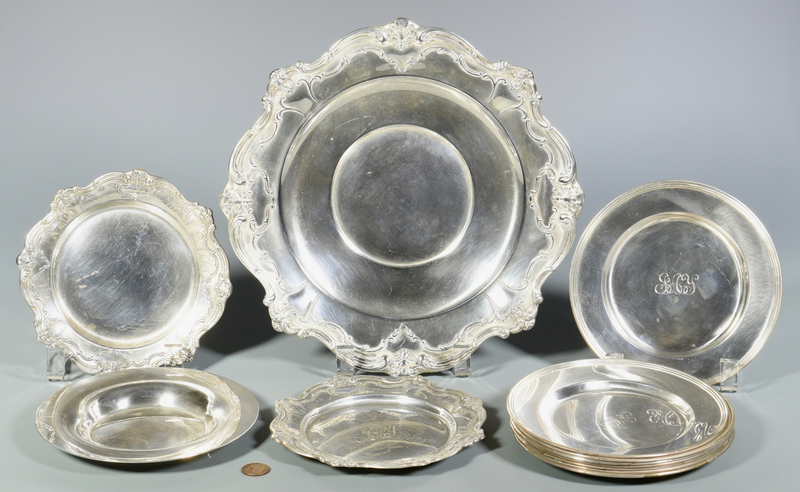 Eleven (11) sterling bread and butter plates and two (2) round sterling serving trays. 1st-2nd items: 2 Gorham Chantilly Duchess bread and butter plates, pattern no. 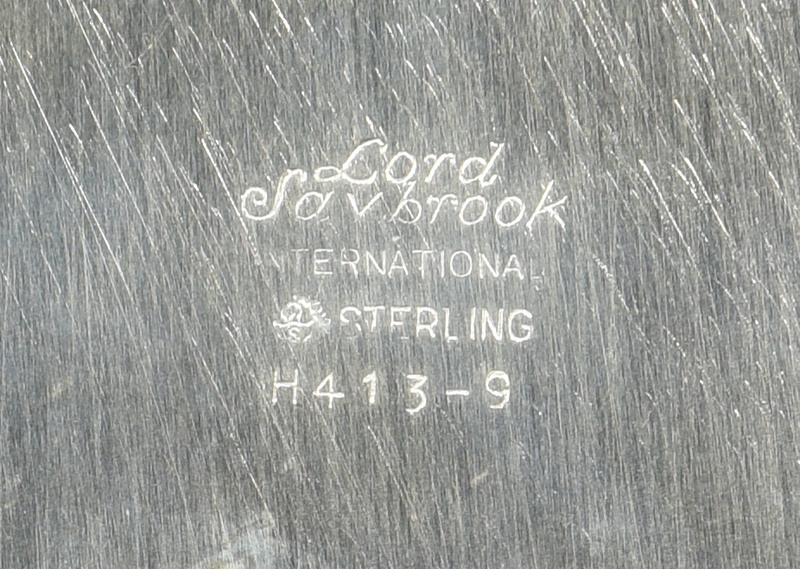 738, with Rococo style borders with maker's marks on base. 6 1/8" dia. 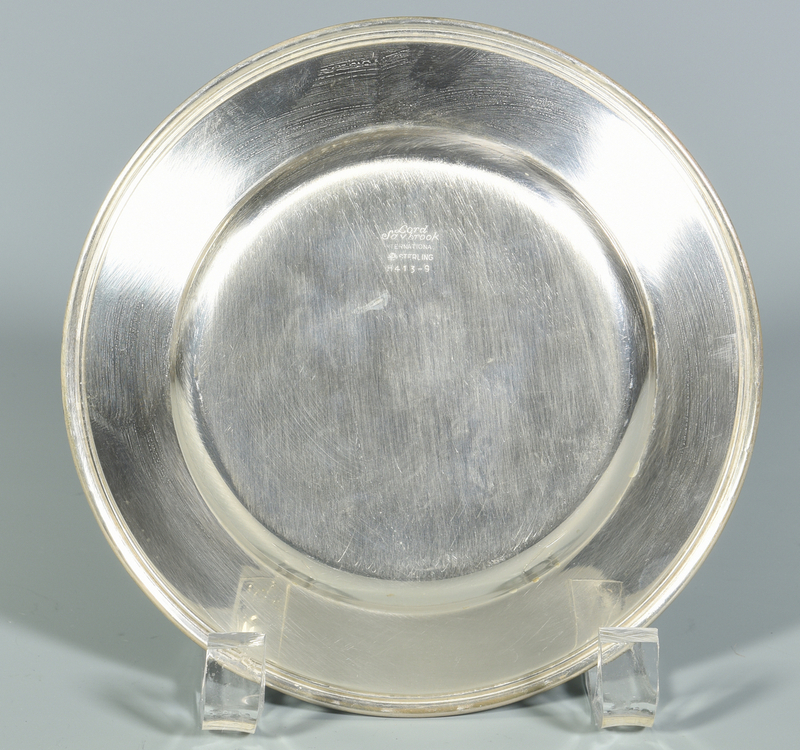 3rd item: Shreve Crump and Low Co. bread and butter plate with maker's marks on base. Monogrammed "Y" on edge. 6" dia. 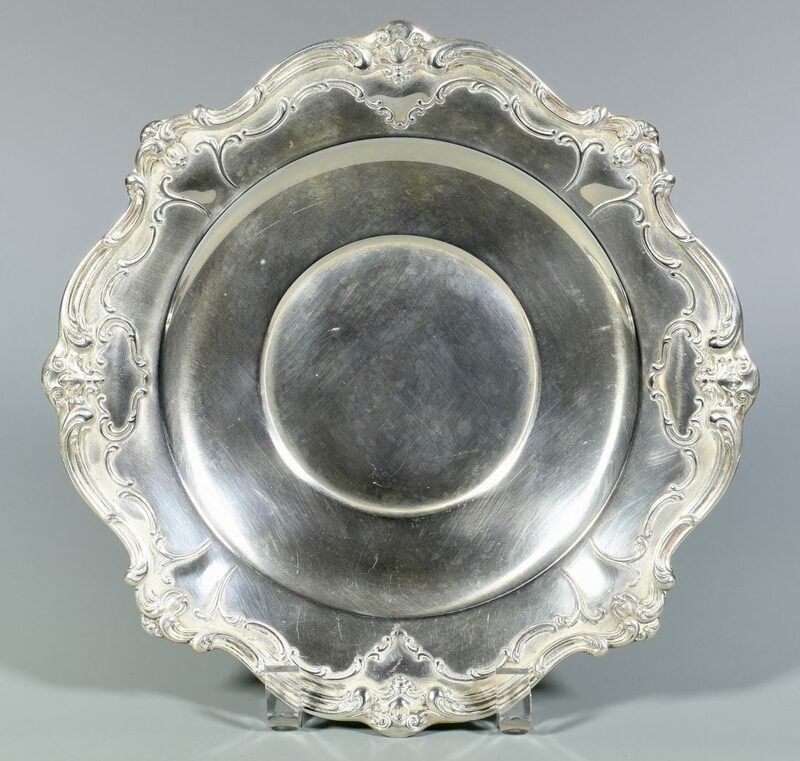 4th-11th items: 8 International Silver Company Lord Saybrook pattern bread and butter plates with maker's marks on base. Monogrammed "J A Y". 6" dia. 12th item: Gorham Chantilly Duchess round serving tray, pattern no. 746, with Rococo style borders with maker's marks on base. 10 3/8" dia. 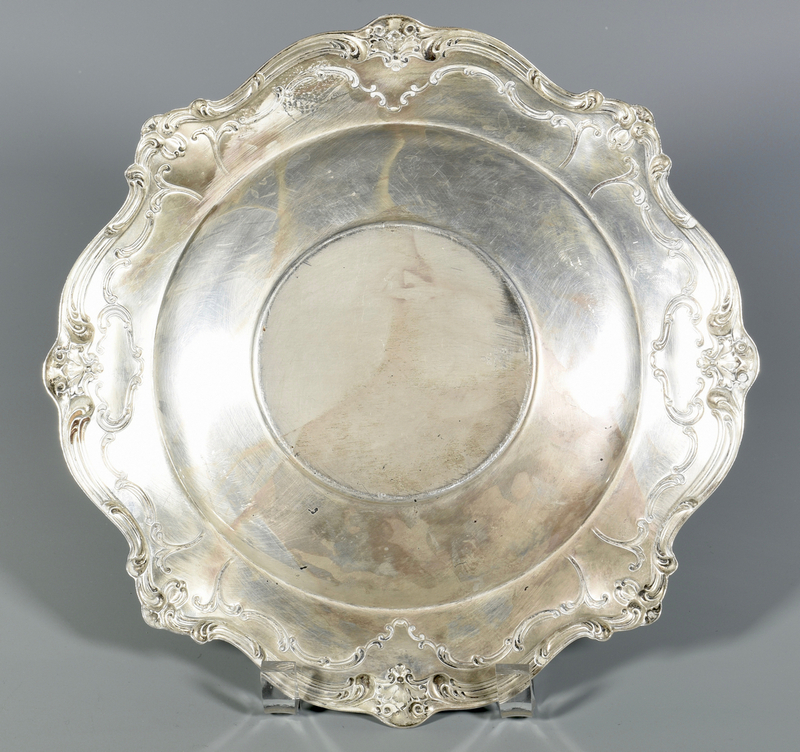 13 item: International Silver Sterling Courtship pattern round serving tray, embossed with floral motifs. 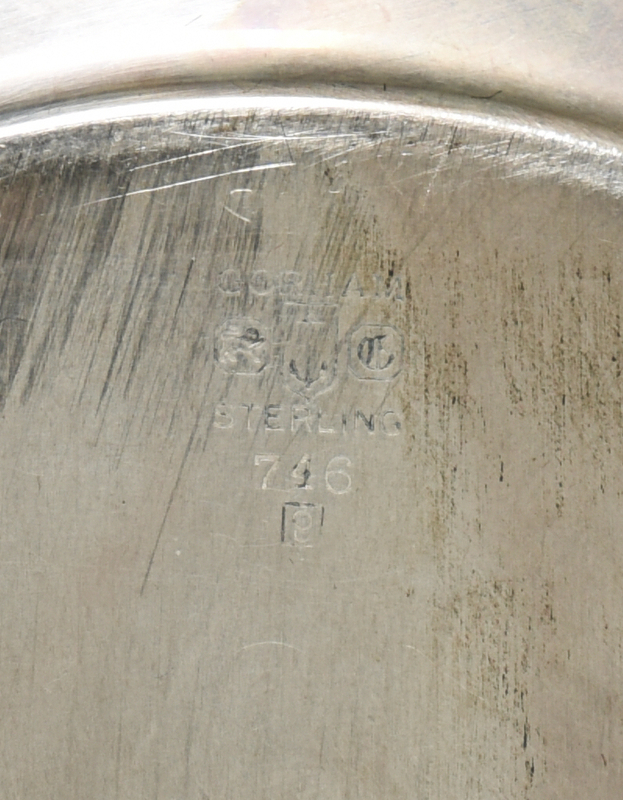 International Silver marks on base. 10" dia. 7.95 oz troy. Mid to late 20th century. 55.94 oz troy combined weight. Late 19th-Mid 20th century. Provenance: The estate of Jean A. Yeatman and Harry C. Yeatman, formerly of Hamilton Place Plantation (near Columbia, Tennessee). CONDITION: Wear to be expected due to age. All Lord Saybrook bread and butter plates and one Chantilly Duchess bread and butter plate with script monograms. 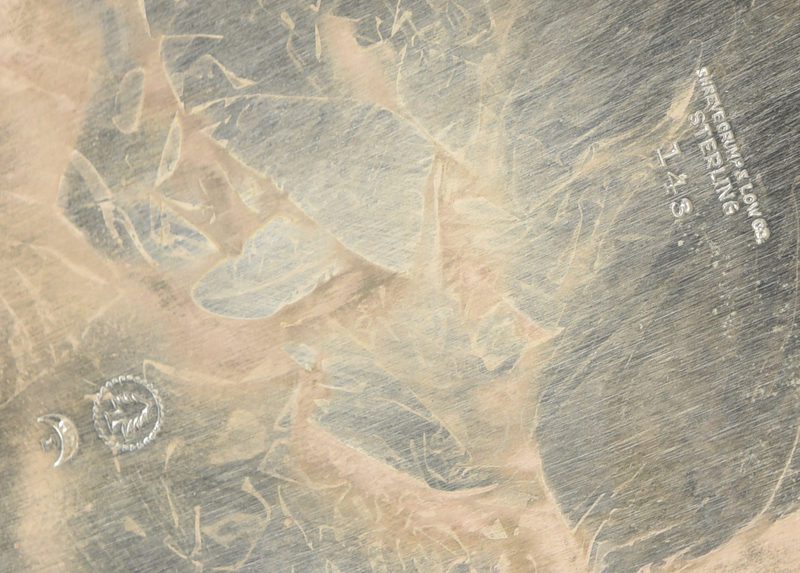 Some plates with tarnish caused by plastic wrap.